LEDs are in wide use today, but the first light emitting diode was invented by a GE employee a little over 50 years ago. The potential was immediately evident, as LEDs were found to be small, durable, and bright. Light Emitting Diodes also consume less energy than incandescent lighting. Over the years, LED technology has evolved significantly. In the last decade large high-resolution LED displays have been adopted for use in sporting venues, television broadcasting, public spaces, and as glowing beacons in Las Vegas and Times Square. Three major changes have impacted the modern LED display: resolution enhancement, brightness improvement, and versatility based on application. Let’s take a look at each. The LED display industry uses pixel pitch as a standard measurement to indicate the resolution of a digital display. Pixel pitch is the distance from one pixel (LED cluster) to the next pixel beside it, above it, and below it. A smaller pixel pitch compresses the spacing, resulting in a higher resolution. The earliest LED displays used low-resolution light bulbs that could project words only. However, with the emergence of newer LED surface mounted technology, the ability to project not only words, but pictures, animations, video clips, and other messages is now possible. Today, 4K displays with a horizontal pixel count of 4,096 are quickly becoming the standard. 8K and beyond is possible, although certainly not as common. The LED clusters that currently comprise LED displays have come a long way from where they began. Today, LEDs emit a bright clear light in millions of colors. When combined, these pixels or diodes are able to create eye-catching displays that can be viewed at wide angles. LEDs now offer the greatest brightness of any type of display. These brighter outputs allow for screens that can compete with direct sunlight—a huge advantage for outdoor and window displays. Engineers have worked over the years to perfect the ability to place electronics outdoors. 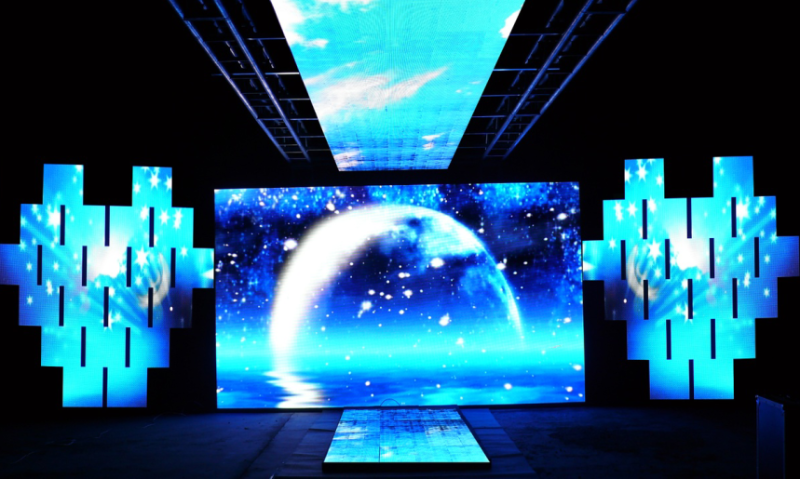 With the temperature swings seen in many climates, varying humidity levels, and salt air along the coasts, LED displays are being manufactured to withstand whatever Mother Nature throws at them. Today’s LED displays are reliable in indoor or outdoor environments, opening up many advertising and messaging opportunities. The glare-free nature of LED screens make LED video screens a prime candidate for a variety of settings including broadcast, retail, and sporting events. Digital LED displays have evolved tremendously over the years. Screens are becoming larger, thinner, and are available in a variety of shapes and sizes. Future LED displays will employ Artificial Intelligence, increased interactivity, and even self-service. In addition, pixel pitch will continue to increase, allowing the creation of very large screens that can be viewed up close with no loss in resolution.